To find information about the Library’s locations and hours, or to contact a staff member, please visit our About Us page. If the photo ID does not have the current address listed, customers can present another type of ID – employment ID card, student ID, printed personal check, recent utility bill, car registration, etc. If a customer does not have anything with the current address on it, Library staff will mail the new card to the address provided. Apply for a card online: Click here to register for a library card online. Customers will still have to complete the application process in person, and will receive a card once they come to the library to complete the process. For those under the age of 18, apply for a Kids Card without a parent/guardian present. Cardholders cannot have a Kids Card and a regular Pickerington Public Library card at the same time. Kids Cards allow for three (3) items to be checked out at a time. When a Kids Cardholder turns 18, they must apply for a regular library card. Kids Cards can be applied for in person at either location. Replacement cards are $.50. Customers must show ID with current address listed to complete the replacement card process. Lost or stolen cards should be reported to the library immediately, so library staff can put a block on the account. This prevents customers from being held responsible for items checked out on that lost/stolen card after it has been reported it to the library. For additional information on borrowing materials, visit the Policies and Rules page to see the Library’s Cardholder Policy. The Pickerington Public Library is fine-free. However, for a lost or damaged item, customers will be charged the replacement cost, plus a $5.00 processing fee, for each item. Request an item through the online catalog, accessible here. Once the item has been located, click on its Place Request button. Catalog users will be prompted to enter their library card barcode and Personal Identification Number (PIN). Catalog users can then select when they would like to activate the request, and then select the pickup location. Email the Information Services Department: pplrefstaff@pickeringtonlibrary.org. ​Please note that notices for items held in the pickup lockers can only be sent either by email or text. ​To change notification preferences: access “My Account” online. Click on “My Record” once logged in. Under “Preferences,” make any necessary changes and save to update the account preferences. Library staff members can assist cardholders in changing account notifications: cardholders will be asked to provide their library card or library card numbers in order to update account preferences. Contact the Library’s automated renewal line, at 1-877-772-6657. Enter the library card number and PIN. Select the items to renew, then click “Renew Selected Items” at the bottom of the page. Cardholders who have forgotten their account PIN, but know their library card number, can reset the PIN online by clicking here, and then by clicking on “Forgot Your PIN?” The new PIN will be sent to the email address on file for that card. Customers who cannot access the Library during business hours are able to use the 24-Hour Pickup Lockers to hold their reserved materials. 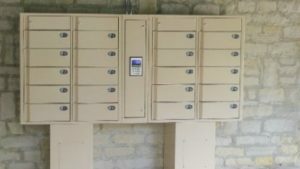 Lockers are available at all library locations. 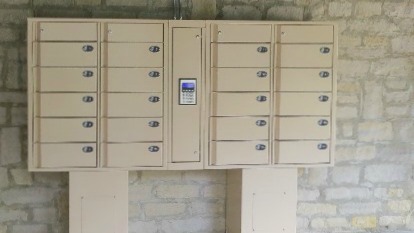 Customers will then receive a hold notification when their item or items are available to be picked up in the locker. Click here to place a hold on a mobile hotspot. Through SearchOhio and OhioLINK, Library cardholders can now borrow material from the collections of over 160 Ohio public and academic libraries. Click here for details and to get started. Log in to any available computer in the lab, and select “Log In as Patron.” Enter the library card number and PIN. Customers are allotted 120 minutes (2 hours) of computer time per day. Computer users can use that time as a single session, or in multiple sessions throughout the day. A valid library card is required in order to check out a laptop to the customer’s account. Photo ID, or another form of accepted collateral, is also required and will be held while a laptop is in use. ​For additional information, please visit our Policies and Rules page to see the library’s Internet Use Policy. Thanks to the grant-funded Guiding Ohio Online project, made possible in part by the Institute of Museum and Library Services and the State Library of Ohio, the Pickerington Public Library has two technology trainers on staff to assist customers with technology questions. Trainers are available for drop-in help at the Pickerington Main computer lab, or by appointment for one-on-one technology help. Click here to see available hours and to make an appointment. At Pickerington Main, select “PPL-Wireless” from the list of WiFi connections. At Sycamore Plaza, select “SPWireless” from the list of WiFi Connections. Printing is available from the computers in the Pickerington Main computer lab. Wireless printing is available for mobile devices at all locations. Enter an email address. This email address will be used to verify prints at the printer’s self-release station. Click here for mobile printing directions for Sycamore Plaza Library. At all locations, the printer coin box accepts $1 bills, and silver coins (nickels, dimes, and quarters) only. See a staff member before printing if larger bills or credit/debit cards are required for payment. The Pickerington Main computer lab printer does not allow for double-sided printing, nor does it print in sizes larger than 8.5″ x 11″. Copying is available at all locations. The copier can accept documents up to 11 x 17″ size, and adjusts prices according to the paper size and color ink. Fax services are available at all locations, at no cost. Please be advised that faxing to international numbers is not available. Scanning is also available at all locations, at no cost. Library users can scan to email, or to a USB or flash drive. The scanner accepts documents up to 11 x 17″ size, and can send documents in color or black and white, and as PDFs or as image files. Pickerington Public Library has a wealth of digital resources available to any library cardholder. For instruction guides on how to use Overdrive/Libby, the e-book and digital audiobook library, click here. 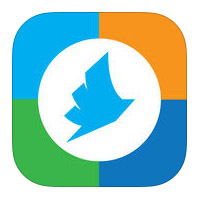 To sign up for or log into Hoopla, the streaming video and audio service, click here. For all other library databases, including Consumer Reports, Ancestry.com Library Edition, and more, click here. Meeting Rooms must be reserved 48 hours in advance. Meeting Room requests must be completed online. To reserve a Meeting or Conference Room at Pickerington Main, or to reserve the Digital Classroom at Sycamore Plaza, click here for the online Meeting Room request form. For additional information, please see the library’s Meeting Room Policy. Users with questions about looking up information, using the online catalog, or getting started on a research project are encouraged to submit the online Ask a Librarian form. Library staff members will respond to Ask a Librarian inquiries within 24 hours. The Library offers exam proctoring at all locations. To schedule an exam, click here for the online appointment request form. It is the responsibility of the test-taker to read the Proctoring Services Policy. The library offers notary services at no charge to the public, at all locations. To schedule a notary appointment, click here for the online appointment request form. There are limitations to the types of documents that library staff can notarize. It is the responsibility of the customer to read and review the library’s Notary Services Policy carefully, or to contact a Library staff member with questions about notary services. Every year, the Pickerington Public Library receives a limited number of federal and state tax forms, and will make these forms available to the public as soon as they arrive. If the Library does not have a form in stock, Library users can visit the Information Desk of any location, where staff will assist in printing tax documents, or assist in using a library computer to access and print documents from federal, state, and local websites. Resources for accessing forms online are available on the library’s Tax Information page. Those donating agree to fill out a donation form indicating what they donated to the library and when. Please note that the library cannot guarantee that any donated materials will be added to the library’s collection. The library will not accept used text books, magazines, or encyclopedias. Materials deemed suitable, according to the library’s Collection Development Policy, may be processed and added to the library’s collection. All other materials, of acceptable condition, will be given to the Friends of the Pickerington Public Library for their bi-annual booksales. In the event of larger donations, please contact Kathy Bowden, of the Friends of the Pickerington Public Library, at pharmteam@aol.com. Please visit our Suggest a Purchase page in order to submit an online request. The Pickerington Public Library is a standalone public library. However, it is a member of the Central Library Consortium (CLC). The seventeen (17) CLC member libraries share materials, meaning customers can request books, DVDs, CDs, audiobooks, and more, from any of these libraries and have it delivered to their home library. Customers can also return items owned by CLC libraries to another CLC library.